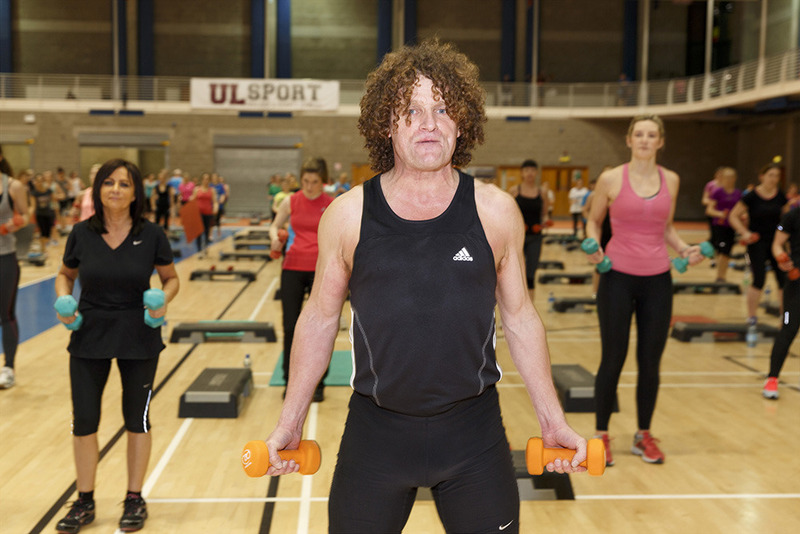 Richie Clifford’s Total Body Workout class. University Arena, University of Limerick. Photo by Martin Parr / Magnum Photos. Atlantic invested in capital projects to create leverage and unleash human capital: Out of a belief that, as Matthew Bishop, New York Bureau Chief of The Economist says, “the right building in the right place can be used to leverage large additional sums of money from other sources, including fellow philanthropists and government,” and because buildings ultimately represent a long term investment in the people who use them. Making campuses more livable, and pleasurable, supports both goals. While producing “Laying Foundations for Change,” 10 students from Ulster University’s photography program worked with faculty members Paul Seawright, Martin Parr, and Donovan Wylie. In the process they captured some of the texture of life on Irish university campuses, particularly at newer universities like University of Limerick and Dublin City University, where Atlantic funded a significant percentage of the facilities. A swimming pool in Limerick may not have the gravitas of a hospice or a biomedical research center, but it too contributes to the confidence and culture that help generate sustainable change.